This season looks to be pretty interesting, and not only with the plot of the shows in my lineup themselves. My lineup itself looks to have some interesting developments. We had the season premieres of two of my shows this week, Gotham and Agents of Shield. This next week (tomorrow, in fact) will add Once Upon a Time back into the mix. And then there’s… not many more. Castle ended last season, and Grimm is ending this season. With only a half a season, airing in several more months. I just have to take a moment and say… what?! On Grimm we have the entire plot surrounding Diana, the Black Claw rampaging around the world, Hadrian’s Wall just got defeated, other Grimms we haven’t met but know exist, the Royals seem to still be in power, we’ve not heard about the Resistance in a good long while, Munroe and Rosalee are having a baby, there’s the convoluted relationships between Nick, Adalind, Juliette, and Renard, not to mention that holy healing stick thing they just barely found after centuries of looking for it. And not only are they ending the show, but they’re going to wrap all of that up in half a season? What is wrong with these people? …setting that aside for the moment, this still leaves me with only three shows to follow and comment on until Grimm airs again, and then Doctor Who returns, after the Christmas special, in April. So, to keep things interesting around here, I am looking to add some others to my lineup. First and foremost, I am partially rescinding my decision from the end of last season to drop the entire DC lineup. I won’t follow Supergirl, and trying to comment on all four shows would make things a bit unbalanced here anyway. I’m also not so keen on The Flash and Legends of Tomorrow right now. So, in honor of what might be its last season, I am keeping Arrow in the weekly lineup, with perhaps an occasional commentary on the rest of the DC shows. So, for the short term, my lineup will be Once Upon a Time, Gotham, Agents of Shield, and Arrow, with some possible additions as I get to reviewing other shows in the coming weeks. The image in my head is of someone raising a club, shouting “FORE!” And sending the ball skyward towards the first hole. Yeah, strong opening, this episode. Last season ended with freaks let loose, Bruce made aware of the Court of Owls’ existence, and Gordon going after Lee again at long last. The first scene in this season is Gordon, in a suit and tie, hair neatly combed, bearing flowers, going up to knock on her door. But before he knocks, he hears her laugh, and sees her with a male guest through the window, kissing, and smiling. Apparently, he decides not to come crashing back in now that she’s happy. Typical male self-sacrifice. We’re either martyrs for giving up or all-time jerks for trying again. Yet another reason why it’s so astonishing that women don’t kill us in our sleep. Cut to six months later. …yeah, that is a really subtle segue. Fish is in charge of all the Indian Hill freaks, which is about as surprising as the sun rising in the east. The woman does not know how to be anything but on top, no matter what dog pile she’s thrown into. How very poetic, then, that her ability to command others with her very touch seems to be killing her. When she uses it, it causes her extreme pain, nearly crippling her. That didn’t happen at first, so the affect must accumulate and worsen each time. But she likes her ability. It’s her new drug of choice, sating that ravenous desire that has always driven her, to be the one in charge, to speak and be obeyed. So instead of stopping, she looks for a cure. She start with drugs, trying to treat the symptoms herself. That brings us to one of her freaks raiding a pharmacy. What was that guy meant to be, a stegosaurus? He was strong, and armored, but apparently he didn’t keep an eye on his surroundings. Bullets and batons and fists might not have hurt him, but that truck? Took him down, and with those things on his back catching on the road, I imagine, he probably got torn apart. Owch! This being just the latest incident with an Indian Hill escapee, Barnes, now needing a cane to walk, addresses the media alongside the mayor. They did fairly well, until a zealous reporter by the name of Valerie Vale – related to Vicki Vale, I assume – put the pressure on them, and then Penguin stormed the spotlight in hopes of rallying the whole of Gotham against the freaks in general and Fish in particular. To that end, he sets a bounty of a million dollars, and consults his brainy friend, Nygma. The latter encourages him, saying whatever Fish is planning, he need not concern himself with the details, in the same way Alexander the Great didn’t concern himself with the details of the Gordian Knot. There is some truth to that, but, it also needs to be said, the Devil is in the details, and when dealing with a schemer like Fish… well charging straight in might not be the best idea. Then again, there aren’t that many freaks in her entourage, so overwhelming brute force just might get the job done after all. At the same time, Penguin is also trying to run his criminal underworld. To that end, he tries to take a swanky new club under his wing. Small detail, it’s being run by Barbara and Tabby. Now that is a pair of intractable women, right there, with teeth and claws aplenty. Butch tries to be their hero by sending in some idiot thugs to pressure them so he can come sailing in and get back into Tabby’s good graces (and back into other things of hers), but all that does is get the thugs killed and annoy everyone who’s still alive. And kudos to that actress for making Barbara so viciously maniacal with that laugh. With that aside, though, it’s back to business. So we have Fish’s freaks on one side, Penguin’s deranged psychopaths on the other, the cops trying to keep a lid on all of this mayhem, and here comes Gordon: bounty hunter, freak finder, monster killer. He refuses to be a cop, but he keeps fighting the war. He doesn’t seem to have any real foundation to himself any more, but, like Fish, he’s built for just one thing. In her case, it’s dominance. In his, it’s fighting the fight. So here comes Valerie Vale. She’s young, clever, zealous, idealistic, a spitfire, not so different from Gordon at the start of the series, as I think about it. She’s out to get the story and do some good. Unfortunately, she lacks the experience to tell when she’s being used as a pawn. Fish uses Selina to use Valerie to use Gordon to use Bullock to find Peabody. The drugs are a dead end, so she’s thinking of going straight to the source. Valerie doesn’t see it coming, but Gordon does, and he doesn’t hesitate to walk straight into the trap, with Peabody as bait. I can’t say Peabody doesn’t deserve what she gets, but it’s not really about what she deserves. Once upon a time, Gordon would have realized what was going on and refused to use another human like that. And now Peabody is dead and he’s lost his lead on Fish. Yeah, well done, Gordon. Well done. He’s gone cold and nearly amoral. Fish doesn’t get much from Peabody before having one of her freaks drain her life. When she uses her powers, she activates foreign cells within her body, and her body is rejecting them, at the cellular level. Thus her deteriorating condition. Peabody can’t help. But Strange can. So if Fish wants to live and use her powers, not to mention have a real army of monsters to lead, then she needs Strange, who is in police custody. Almost unnoticed in all of this is Bruce’s doppelganger. He has no idea who he is or what he is supposed to be, but Selina gave him some cash once so he followed her, and saw Bruce visit her, freshly returned from a long trip to Sweden. So now he wants to know about Bruce, but he doesn’t ask Selina, he asks Ivy, who freaks out at the crazy Bruce and goes to tell Selina about it, but, small detail, the reckless redhead crashes into the gathering of freaks just after they finish with Peabody. By the way, when you want to convince crazy monsters not to hurt you, the words, “I’ll tell,” are the worst thing you can possibly say. She runs, with two freaks pursuing her and Selina trying to help, but the aging freak gets hold of her for a moment before she falls into the city’s waterworks. And thus, Selina’s work with Fish has cost her a friend, and she thinks Ivy was trying to tell her something about Bruce, neither of them aware of Bruce’s double. Finally, looming over all of this, is the Court of Owls. Bruce has returned, and the first thing he does is call them out and demand a face-to-face meeting, else he threatens to expose them to the public at large. That was an epic moment for Bruce and Alfred, and the response comes falling on them pretty quickly. That night, just as they’re locking up, a shadowy figure invades Wayne Manor, subdues Alfred with something bordering on ease, and abducts Bruce. And so the confrontation begins. Barnes is apparently in deteriorating health. Bullock is realizing he did a god job when he was in charge, so maybe he’s meant to be a leader. Fox has traded being part of the board of directors at Wayne Enterprises for working at the GCPD. I think it’s fairly obvious that Valerie is to be Gordon’s new love interest. …And all of this intrigue is in the season premiere. So, we pick up with both the audience and the agents following Daisy’s trail. She’s been going after the anti-freak terrorist organization, the Watch Dogs. But since she’s been doing this without the permission of some faraway panel in the heart of the most bureaucratic and political and inefficient organization in the world (can you tell I have certain sentiments about the UN? ), she’s an outlaw now. How dare she protect the innocent like that?! How dare she go after guys so bad that the can bridge the gap between all manner of nefarious criminal organizations which usually don’t ever work together? How dare she actually try to help the community on her own instead of being a good little obedient lap dog? But right off the bat in this season, Daisy, aka Quake, catches a glimpse of a certain individual with a fiery skull. Oh yes, the Ghost Rider makes his little screen debut! So, Daisy is tracking what these criminals are doing, but when she sees what the Ghost Rider did to his latest victims, and lacking a lead on her previous quarry, well, her interest kind of swerves in his direction. She uses his spiffy-looking car to track him down, perhaps a little faster than even she expected. And who can blame her, having barely gotten a glance at his flaming skull before, being a little surprised by this fairly average looking guy? Still she more than holds her own. She largely dominates the fight, actually… until the Rider emerges – very nice special effect, by the way – and lays her low with one punch. Can you say “power boost?” I mean, I could be wrong, but it seems like it’s been a pretty long time since she’s been overwhelmed quite like that! Then we have a very interesting moment. The Rider, we’ve seen, punishes the guilty, those who deserve it. Killers, traitors, pedophiles, etc. And his host notes, as one member of the Aryan Brotherhood is screaming it out, that they all say they don’t deserve to die. But Daisy is different. Daisy has been pushing herself. Hard. She’s trying to take down the Watch Dogs and all of their associates alone, she’s using her powers to the point where she needs special Shield medication so her bones will keep healing as she breaks them apart, and she says all she wants, as she’s constantly moving and practically living out of her van again, is to have nothing to lose. It’s not like her usual self, where nothing could phase her, but the ordeal with Hive controlling her and Lincoln sacrificing his life for her… well, it’s hit her pretty hard. She’s actually pushing herself towards her own grave. As the Ghost Rider has her at his mercy, she says, “Do it. I deserve it.” She’s the first of his opponents who has said that. And the Rider chooses to turn away and let her live. She feels like she deserves to die, but the Rider knows better. Meanwhile, we have a lot of threads being set up around all our favorite agents. May learns about Daisy being in LA, and gives Mack and Coulson a head start to find her. This being a break in protocol, Simmons, who has been promoted and is now within the new Director’s circle of trust, sends May to bring Coulson back and clean up whatever mess he’s in, which was a very skillful way of sending Coulson help within Shield’s new constrictions. By the time May gets there, Coulson and Mack have made contact with Yo-Yo – who is very happy to “make contact” with Mack, while she filches Daisy’s medicine for her – and learned that things are getting really weird and bloody around here. The Brotherhood apparently stole something for these Chinese Triad fellows or some such. The latter believes that they’ve obtained a weapon that can bring their enhanced foes to their knees. Unfortunately, the first thing that happens when they open the box is… they release a ghost. A genuine ghost. One that makes them see things and go crazy and kill each other. I can see how effects like that could even the playing field, but it seems more like it would be leveling everything within a certain radius, turning it into a crater, which isn’t exactly ideal for people who want to actually live through their victory, ya know? And they clearly didn’t really understand what they were meddling with, as evidenced by, you know, them all going nuts and seeing things and killing each other after they released a freaking ghost! Radcliffe just completed his little life-replica robot, starting with a body for his Aida. He brings Fitz on board, partially under the guise of watching a game together, resulting in one of those awkward first meetings. Fitz is leery, and reminds Radcliffe of the terms of his own pardon, but is willing to listen. Aida, it turns out, is a body with a computer for a brain, programmed to imitate human behavior to an extent but not artificially intelligent. No Ultron stuff here, please! Ostensibly, Radcliffe’s plan is for Aida and those like her to serve as decoys and shields, to protect the real agents. Assuming that really is his plan, which I have some doubts about, there are still some issues I have with this. Firstly, it appears to be motivated in sympathy for the losses that Fitz and his friends have suffered: Trip, Garner, Lincoln, etc. I am wary of things that are so emotionally based. Secondly, if Aida is to serve in that particular capacity, then it’s a bit like creating something nearly intelligent just to destroy it, which just isn’t cool, ya know? I mean, Radcliffe called Aida “it,” while Fitz called Aida “she.” That speaks volumes about their respective attitudes. Thirdly, being able to make artificial beings that can be made to resemble anyone and anything, means they could easily be used as a weapon. Einstein’s work was used as a weapon, and Radcliffe thinks this won’t be? He’s smarter than that, I think. And fourthly, as these can be customized and developed nearly without limit… well, isn’t that just a bit like playing God? Not to mention the psychological dangers, as Fitz is already determined to make Aida “perfect.” Perfect how? He has so much power over this, how she turns out, and he’s fascinated with her exactly when he and Simmons are having trouble staying connected. I see danger signs there. And finally… it’s an empty vessel. A strong body without an owner. Prime real estate for a wandering, murderous ghost to take up residence in, yes? Last but not least, Shield is definitely under new management. 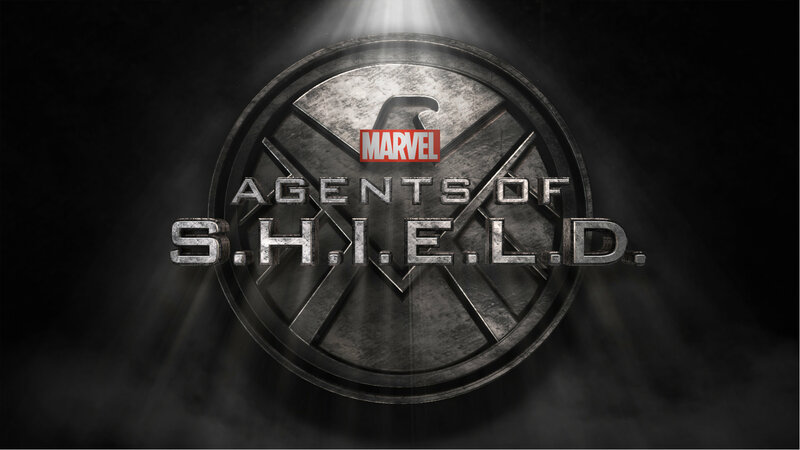 The old team has been split up: Daisy’s out, Coulson and Mack are partners of a sort running a crew out of the Zephyr, May is in charge of training new agents in combat, Fitz is head of engineering, cooking up new toys for Shield’s benefit, and Simmons works with him a bit and mostly serves at the new Director’s bidding. They’ve been split up to keep them from colluding on anything or rocking the boat. And none of them trust the new Director, whoever he is. That is a very bad sign when your own people don’t trust you. And now that Shield has gone somewhat public again, it’s policies have gone zany. All those long titles that need shortening into anagrams? Using colors to differentiate people to keep anyone from feeling inferior? Good grief! Daily liar tests? Is this new director some kind of paranoid pansy? Or is he just bogged down under the cumbersome weight of the “official” oversight? That right there is a big part, I think, of how Daisy keeps eluding them. As Yo-Yo points out, Shield moves too slowly now, courtesy of that ever so cumbersome weight, the Sokovia Accords. So, recap: Daisy’s punishing herself while hunting and being hunted, she’s meeting the supernatural head-on while the same slips through Shield’s back door ready to kill them all, Radcliffe is a genuine mad scientist and has Fitz collaborating with him and keeping secrets from Simmons, and Shield in general has gone nuts. Oh, things are going to get interesting around here!